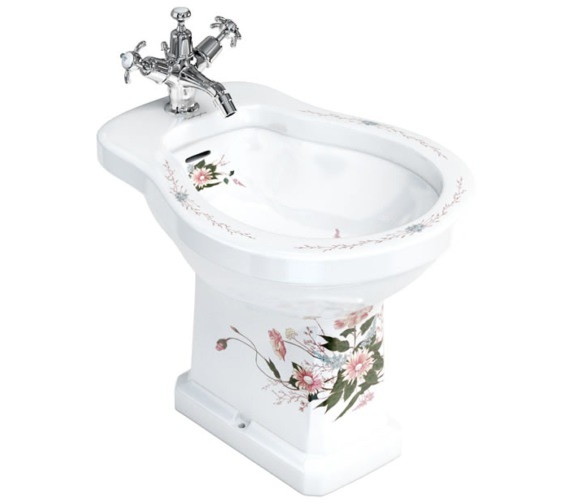 The Burlington English Garden Floor Standing Bidet presents a fresh, soothing piece that features a popular, floral design, bringing a splash of summer to the bathroom space. 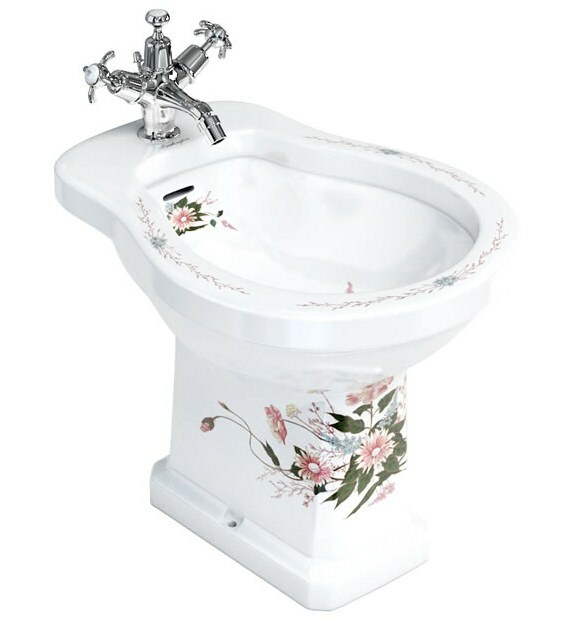 The inside and outside of the bowl feature decorative patterns which make this bidet attractive and stylish. It is exquisitely crafted from Vitreous China which gives it a smooth and robust look. 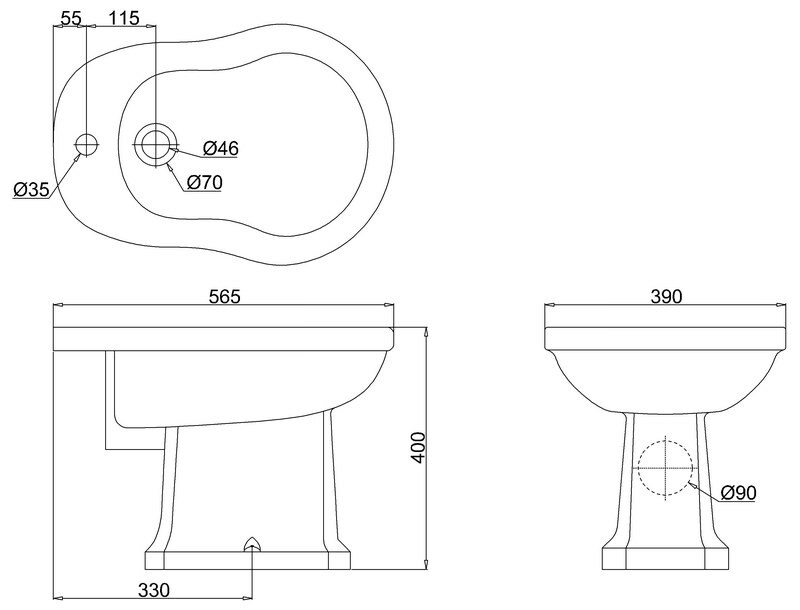 Fitted with a single tap hole, it is designed to be paired with a mono bidet mixer for ease of use. 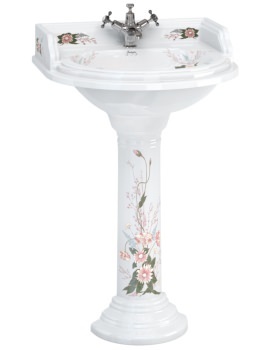 It is also supplied with an overflow which will help to drain the excess water when the bowl fills up to the brim. It comes with a 25-year guarantee from the manufacturer.